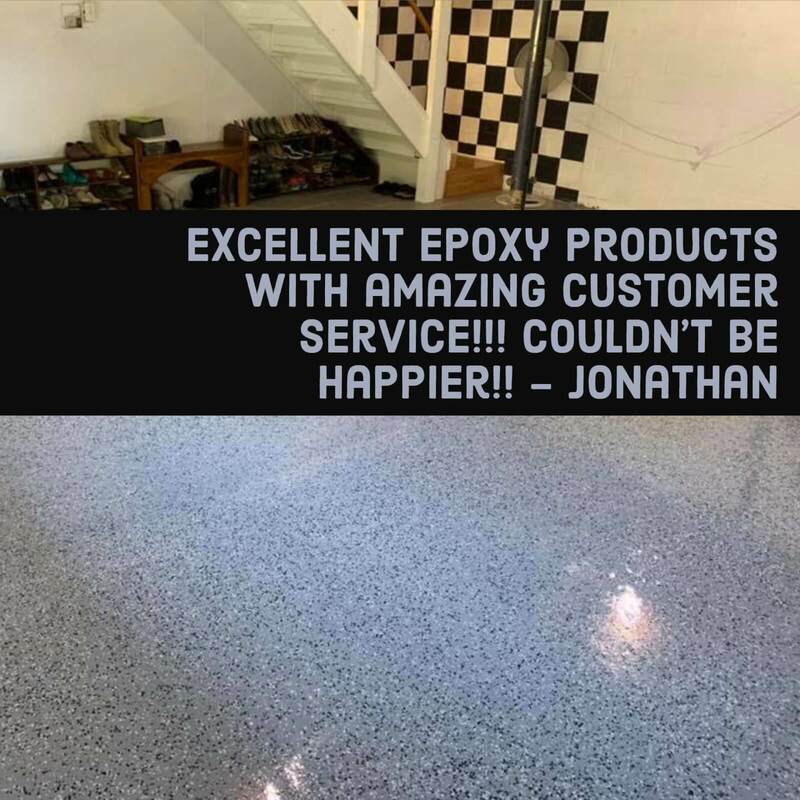 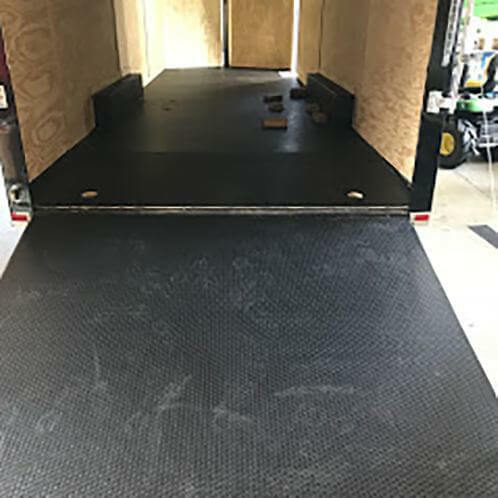 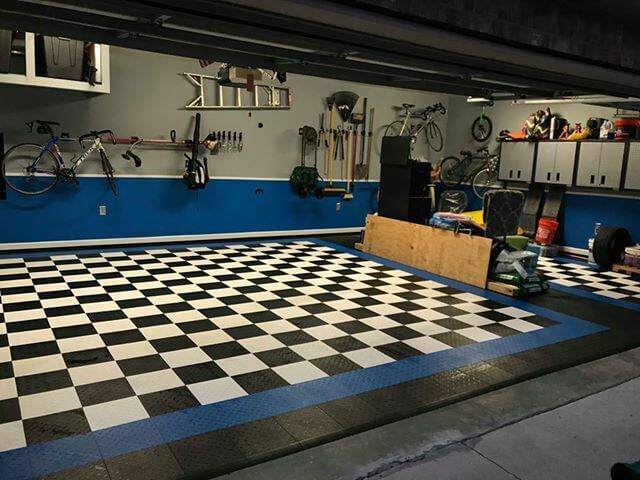 Lonnie used the TrueLock Diamond tiles in his 625 Sq. 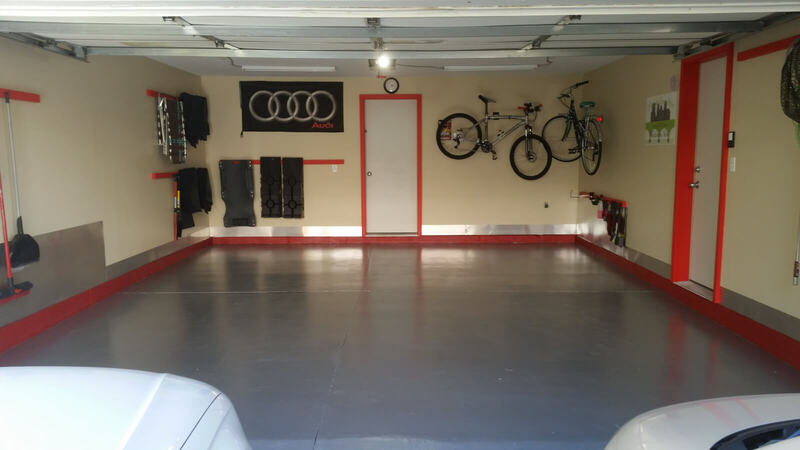 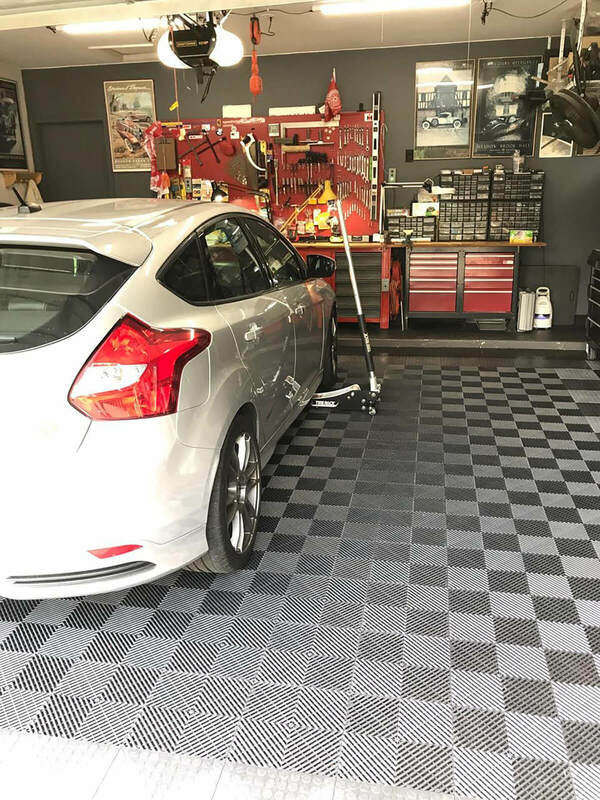 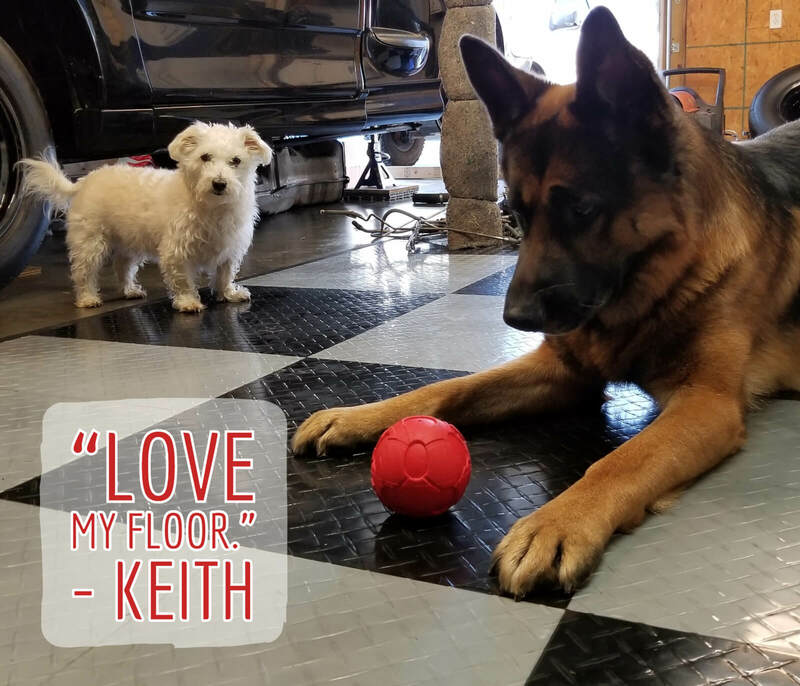 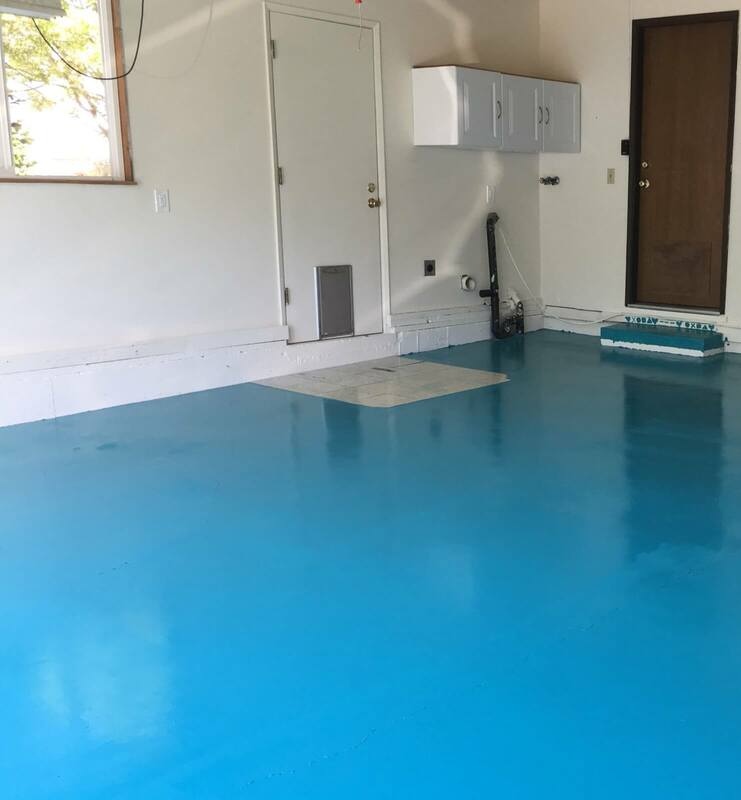 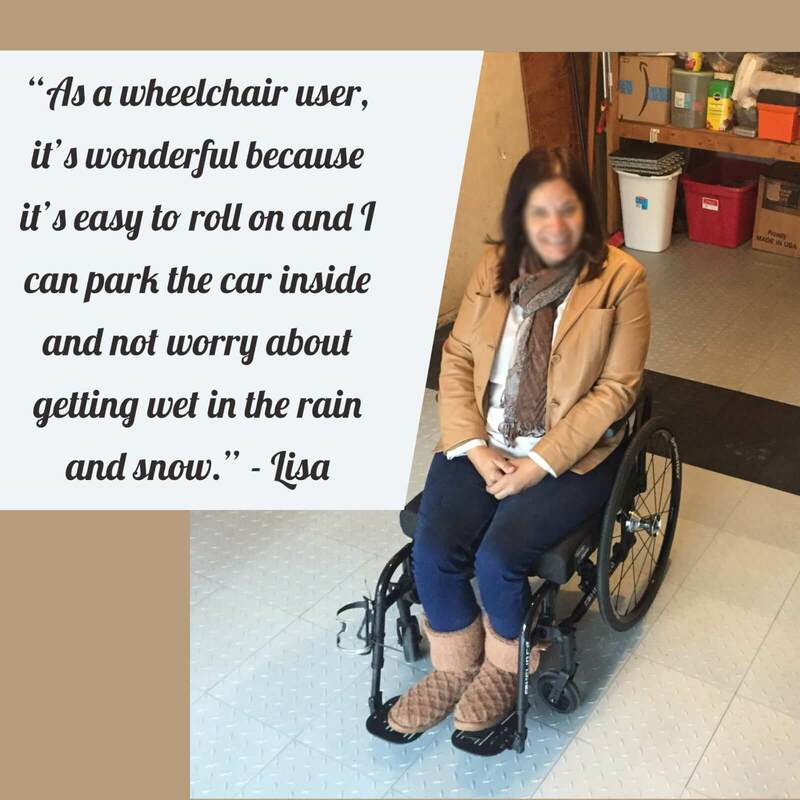 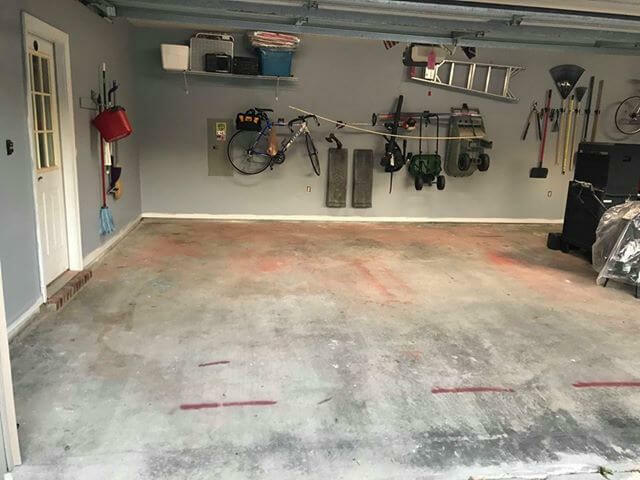 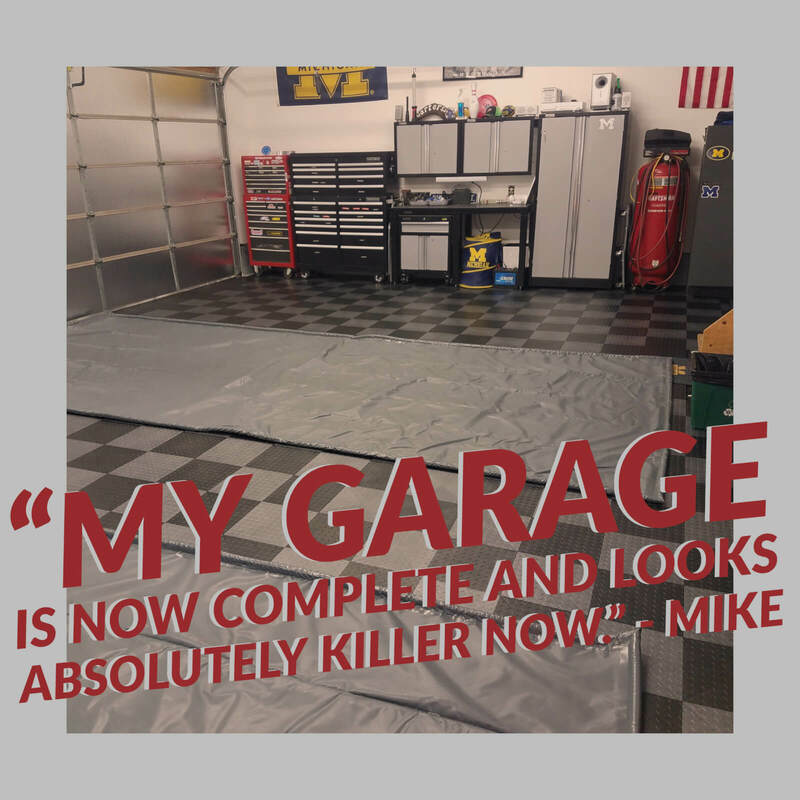 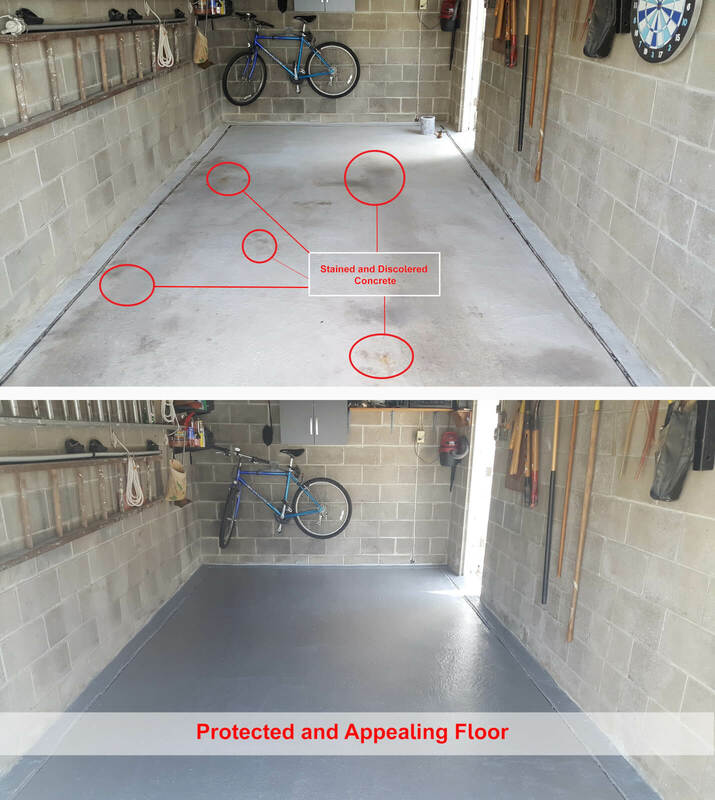 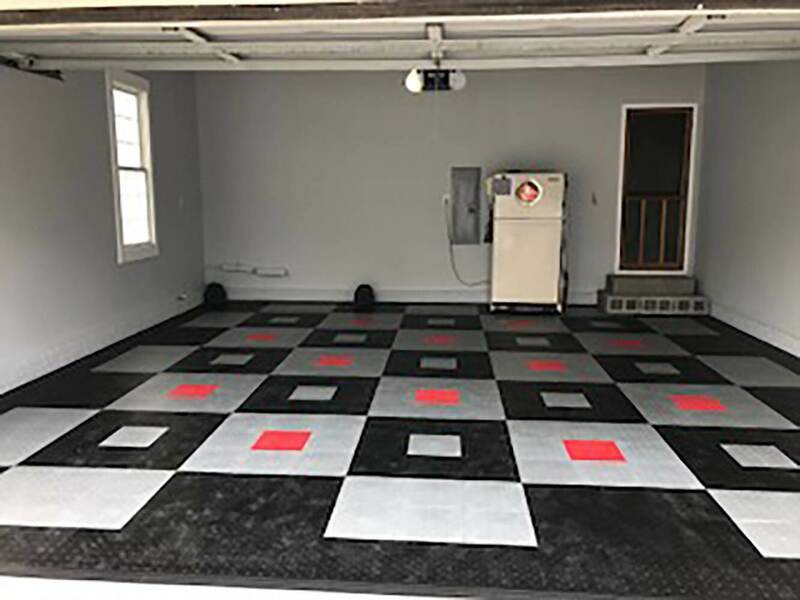 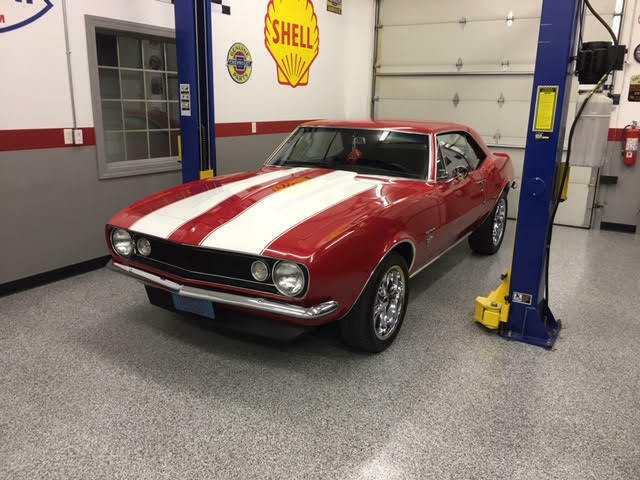 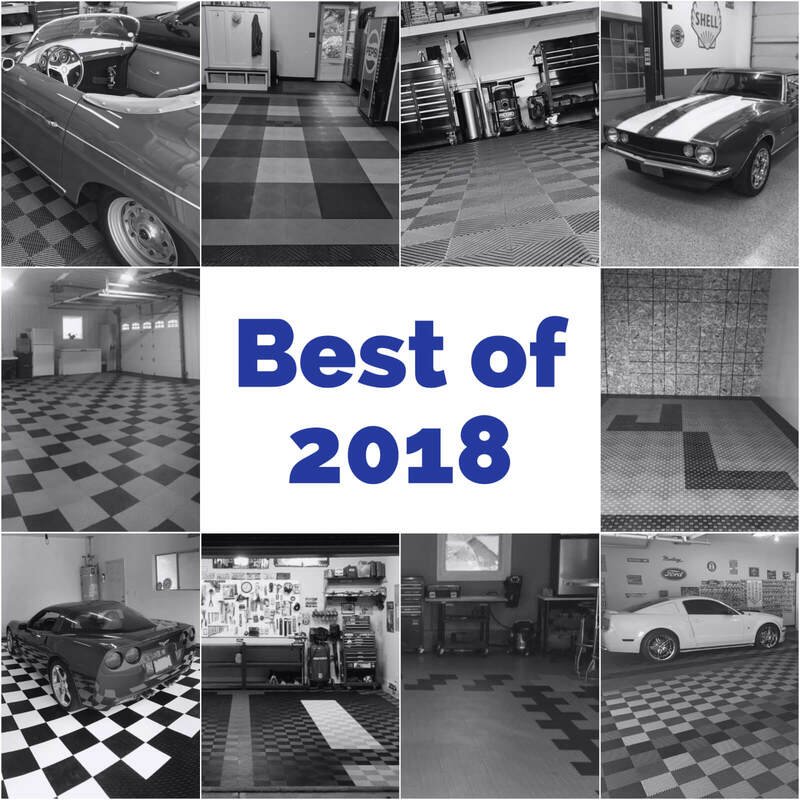 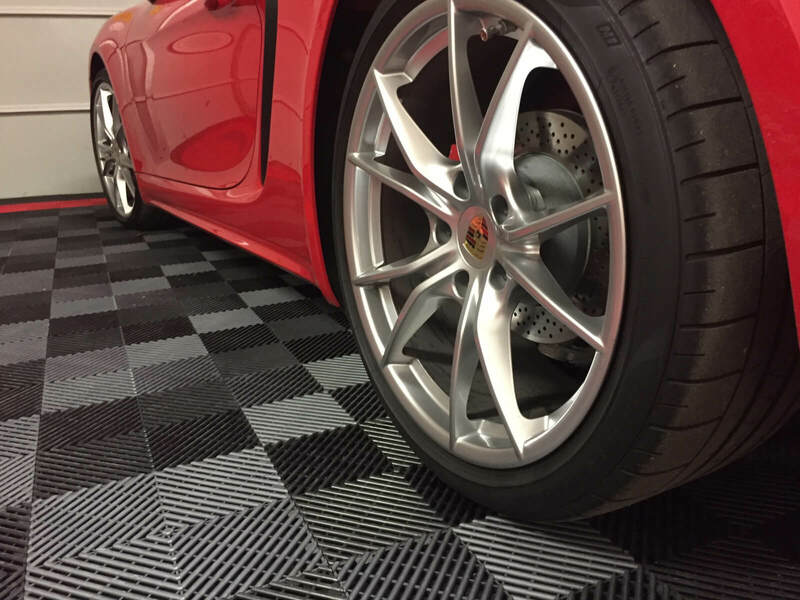 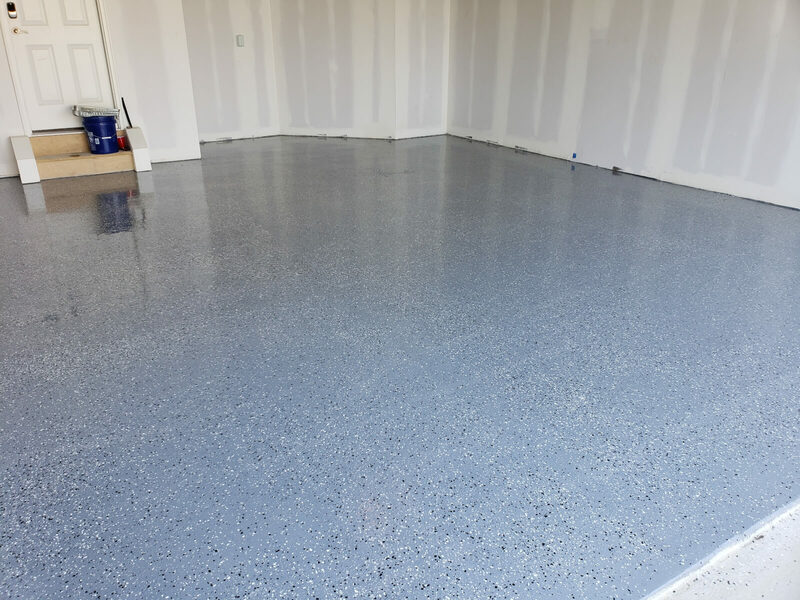 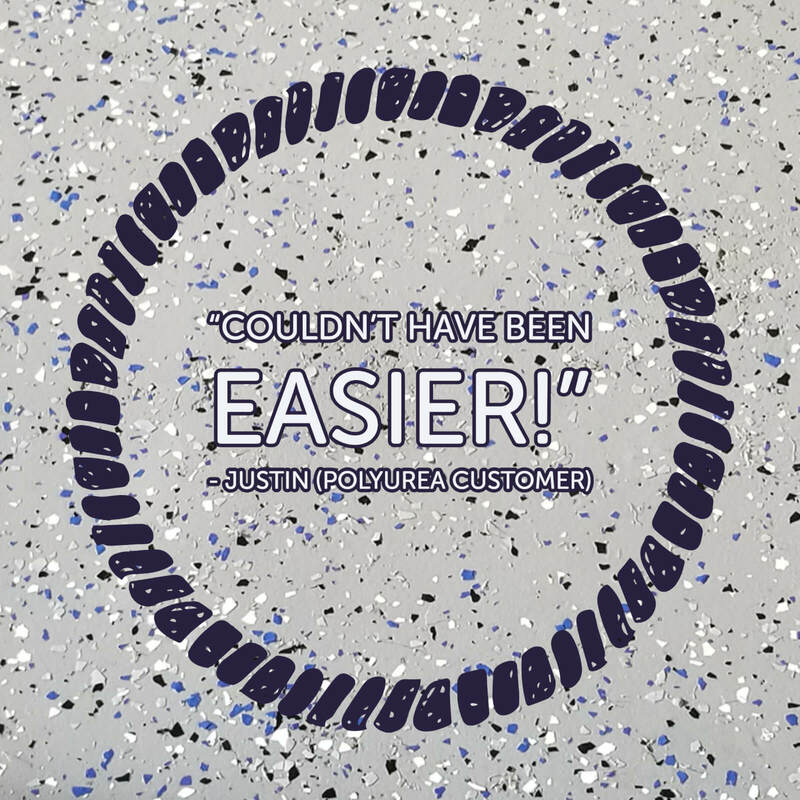 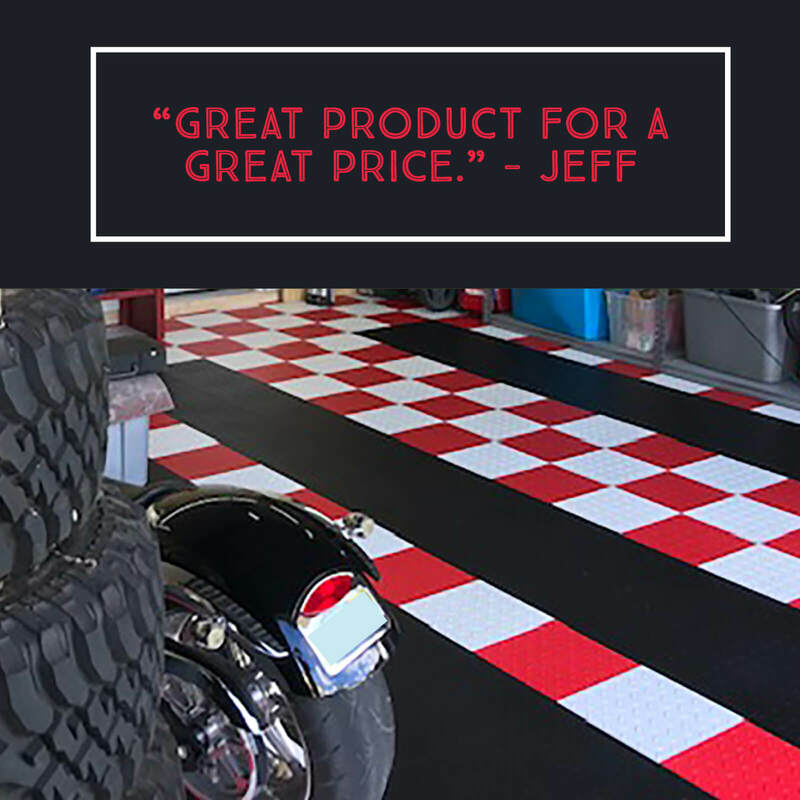 Ft. garage – and we think it looks AMAZING! 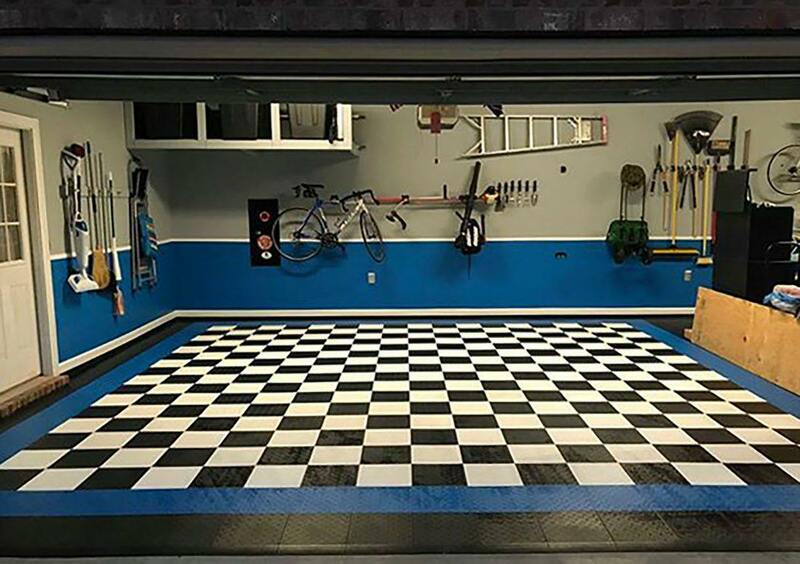 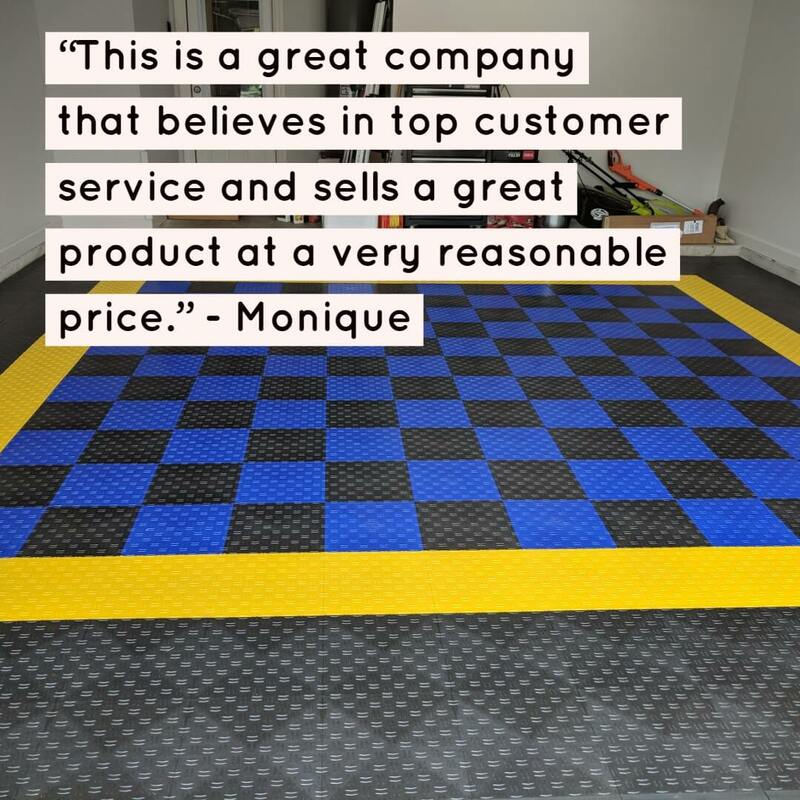 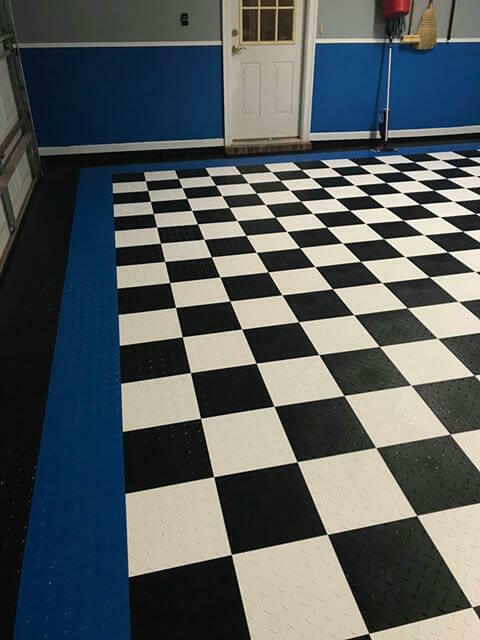 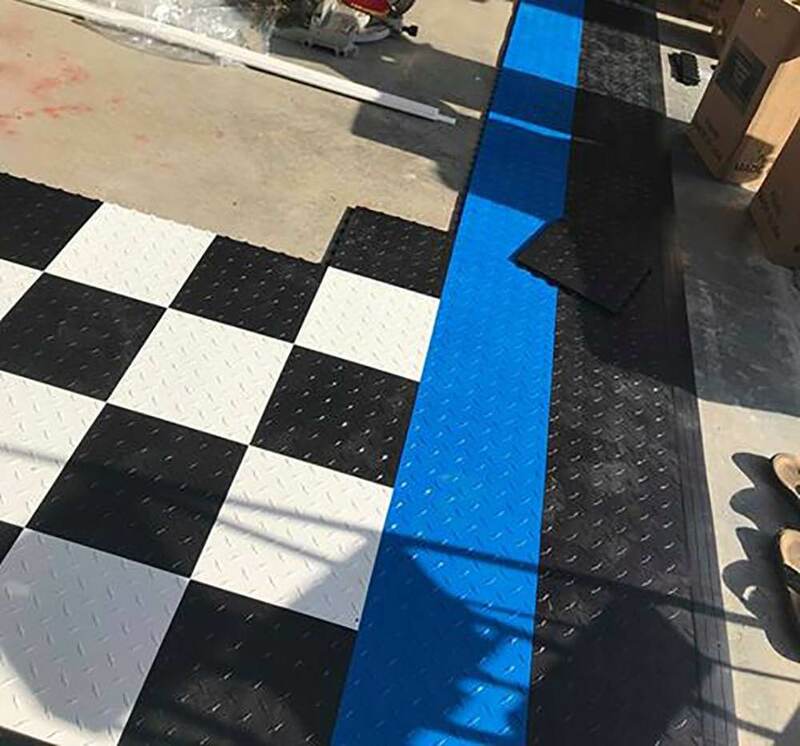 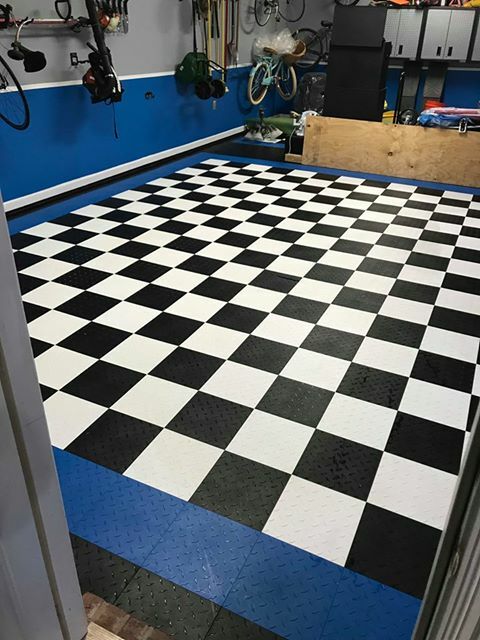 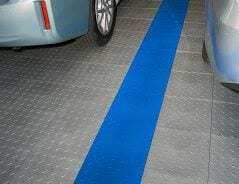 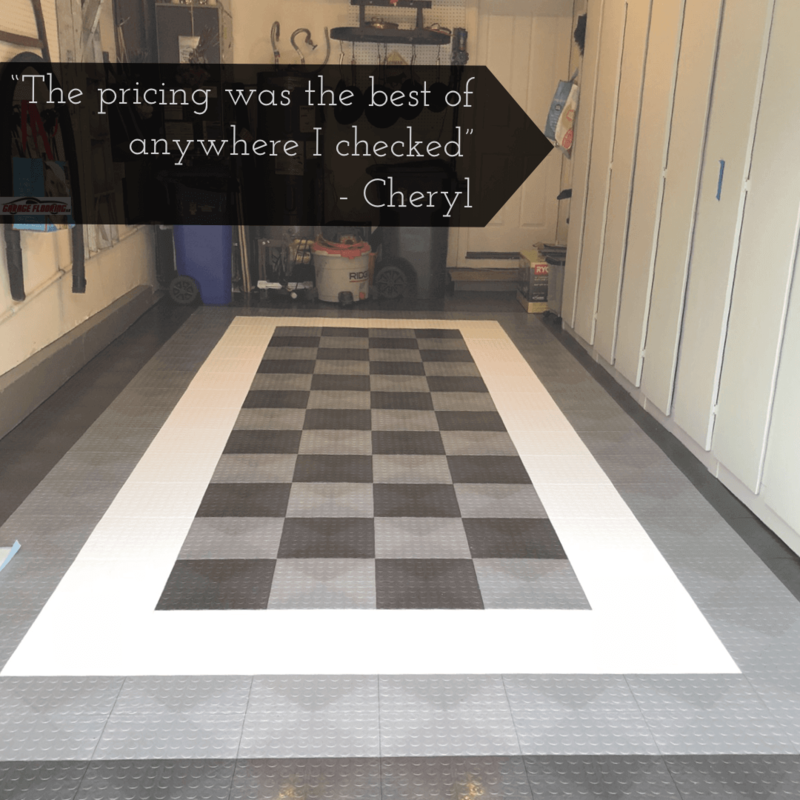 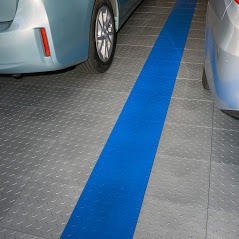 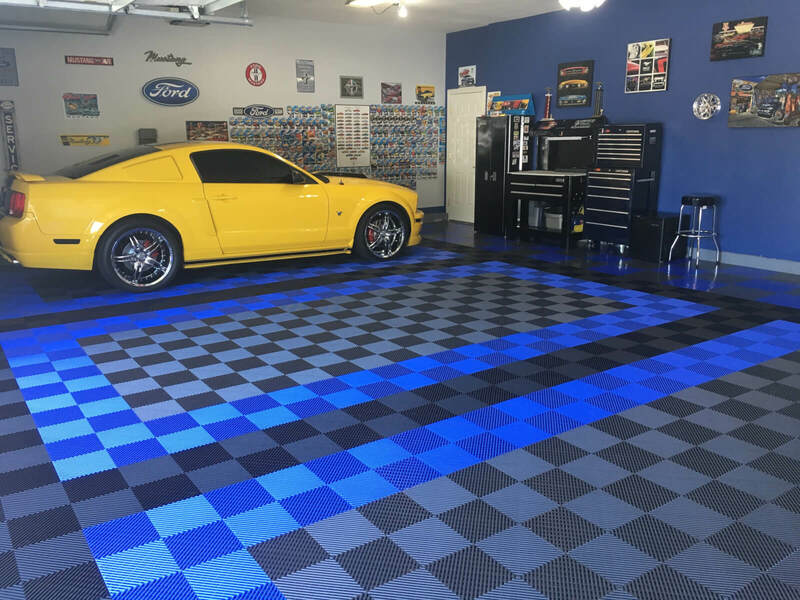 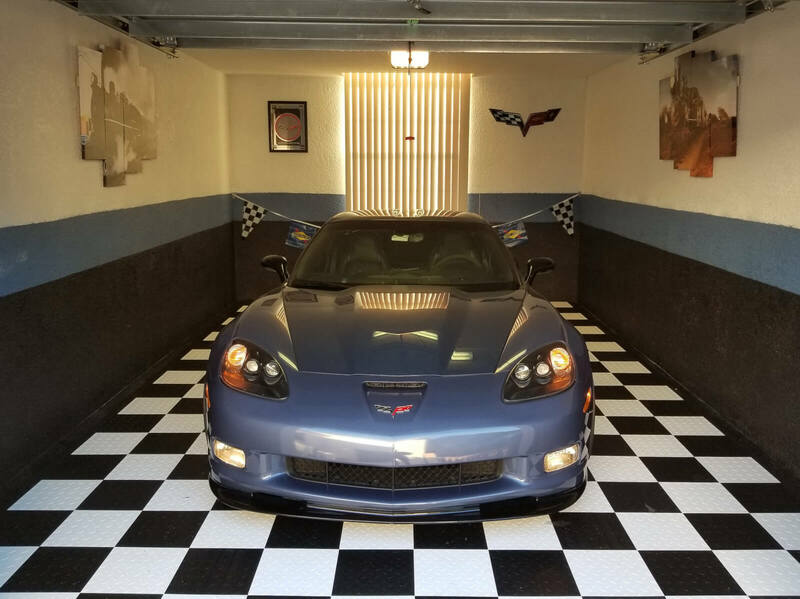 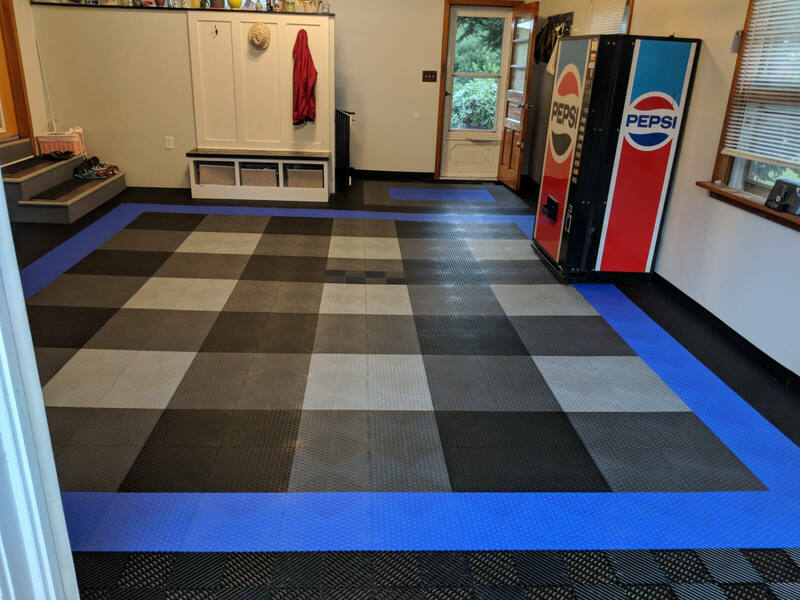 We love the classic checkerboard-patterned garage with the blue and black border. 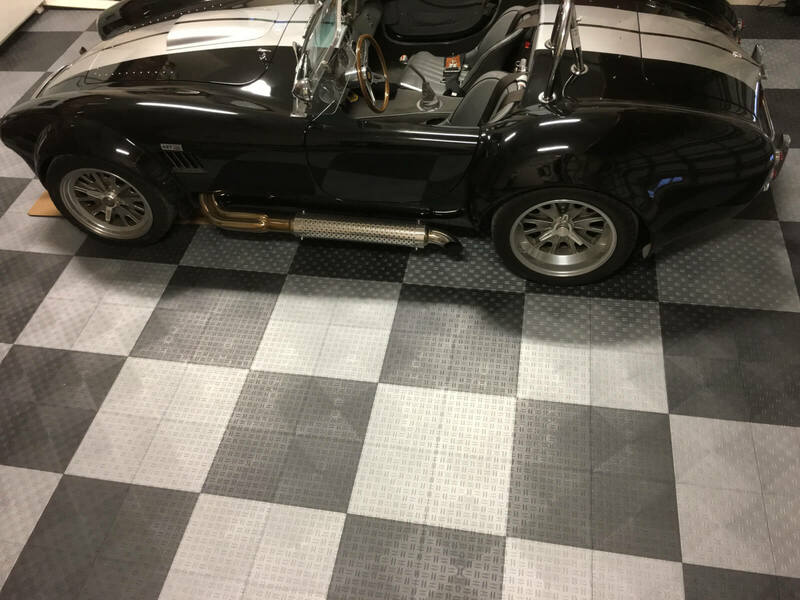 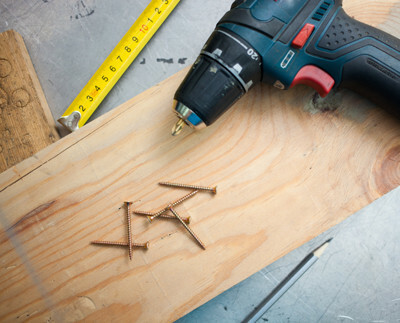 The tiles that Lonnie used are an American-Made, time-tested tile with a 6-lock system. 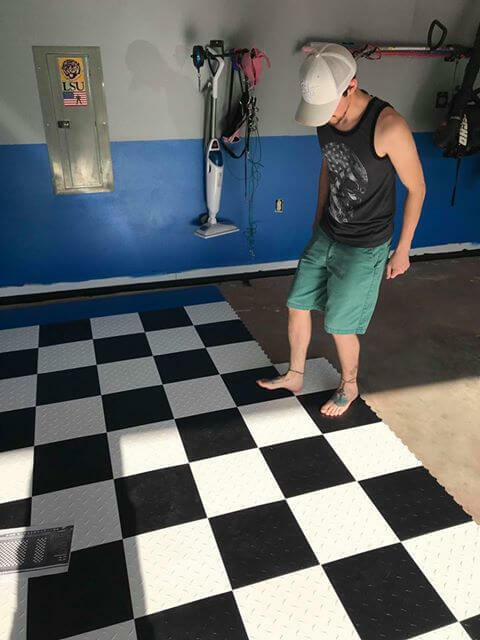 These tiles look great and are on SALE for $2.29 a square ft. 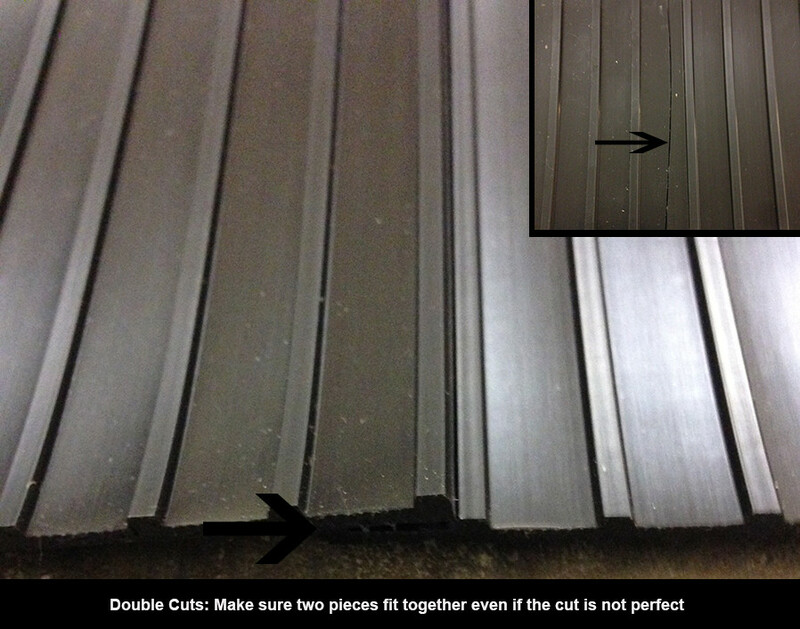 Here are some cool photos that Lonnie sent us- from the beginning of his installation process to the final product.